15 Dec 144, A MANDATORY VISIT. If a high global personality comes to Marrakech, this is a mandatory visit. V. Putin passed through here, Clinton, Sarkozy … and of course, all the mega rich and famous have their mansions in the Palm. It is like a decoration museum. The most amazing fornitures you can see in Marrakech. You will see a large living room with its roof tearing hundreds of the most magnificent lamps you ever saw. Once inside the hall, seek to view a small door … id determined to it, come, go down some steps … and madness within this labyrinth, magical place. There are three riads united and dedicated exclusively to the decor. Do not carry any store !! … but if it is. Imagine that you have entered a wonderfull decoration´s museum. 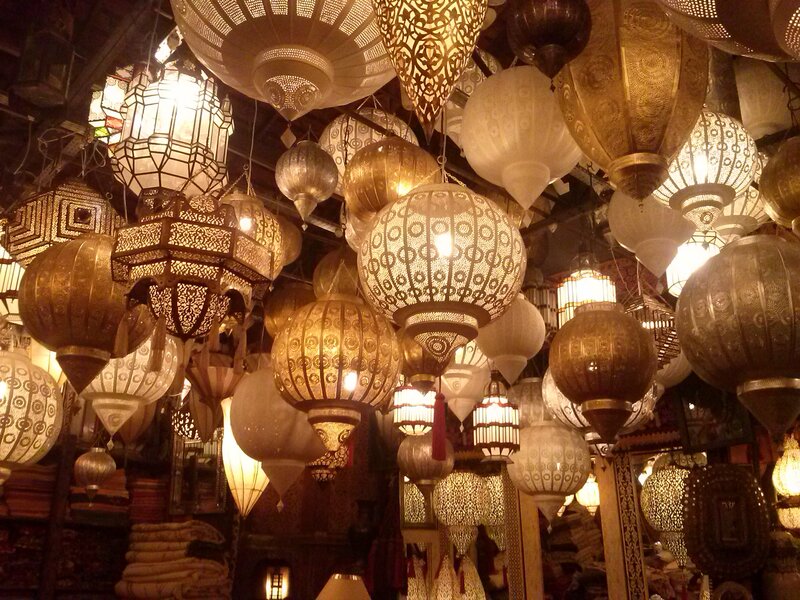 We spent 6 days in Marrakesh and each day haggling for something in the souks. Our riad owner had mentioned this shop to us on the first day so we decided to head back to compare the prices. He had mentioned you wouldn’t need to haggle but I didn’t believe it. He was right. The selection is huge and the prices are VERY reasonable. In the market they will offer 2500 dihram for a wedding blanket. Here, 500. I bought a blanket rug and several little silver treasures. I had a nice long chat with the guy while they took my fiancé to the atm on an adventurous moto rice. They are kind people and helpful. We went 3 times and I think will be back today. Go to compare prices and I guarantee you’ll find what you want.